So many parents blog their way through the ups, downs, trials and tribulations of life in the SEND world. You can find a list of several of them over on our SEND Bloggers page. Maybe you have considered it but never actually got going, so let us inspire you to start or help you to find new families who get what you are going through. This week, we are very happy to introduce you to the lovely Miriam Gwynne who blogs at FaithMummy. I wrote and published my first ever post on my 36th birthday on 22 nd January 2013 so to date I have been blogging just shy of three and a half years. My husband and son had both recently been diagnosed with a rare genetic condition. I wanted an outlet for my own emotions and a way to record our journey that would also bring hope to others. I felt I was closer to forty than I felt comfortable with and wanted to do something for me. I have a very strong faith and felt lead to share some of our lives in the hope it would encourage and uplift others. My son had already been diagnosed with severe autism and I was sure we had much more of a journey ahead of us than we had started so it felt a good time to begin. His twin sister was also already on the pathway to some sort of diagnosis too though at that time we did not know what. Knowing I am helping others and spreading awareness. Every single reader, sharer, follower, or commenter encourages me to know there are others who somehow feel connected or relate to our journey in some way and perhaps feel a little better or motivated by what I have written. I also find my children motivate me as I want the world to be more tolerant and understanding of them and in a small way writing about them may help that. 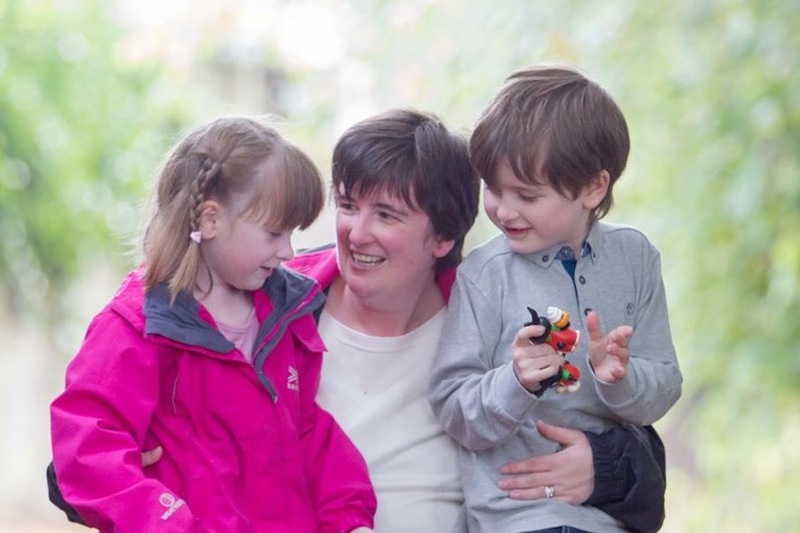 I blog about my life and my children so since they are both diagnosed with numerous conditions I do write mostly about special needs but within that I like to appeal to a wider audience of general parents, family life and my faith. If not what else do you chat about? I also write poems on my blog sometimes about my children and life in general. I write about things that inspire me and real life stories of love. A few of my blogs have scriptures too as my faith is a vital part of who I am. That is a hard one to answer as I now wrote for many different sites. On my own blog by far my most popular one is grieving for a child I have not lost which has had over 66,000 hits and was later published by several sites like The Mighty and Huffington Post. However my most viral post so far has been the day my five year old changed her class without saying a word which when I last googled it was on over 40 different sites including love what matters, Faithit, aplus, the mighty, Huffington post, firefly, for every mom and many others. It was even shared by both George and Brad Takei and Sesame Street! I still can’t take that in! Be aware of your children’s privacy. Think about your aims and your audience and write accordingly. Be honest at all times and don’t make it too long or people switch off. Finally don’t get drawn into the comments; some people are just mean! Use a good heading and a real photo. The more personal and relatable the better. You can’t just steal an image from Google and use it without permission! Believe in your child but most of all believe in yourself. So many will tell you to do this or that or that you are to blame so keep strong and do what you know is best for your own child. If you are struggling, seek help! That my readership stays with me and continues to grow. Without readers there would be no blog. I was recently blown away to see I had reached a quarter of a million views a few months ago. I am a mum from a small town in Scotland who is a full time carer for two complex children…I still can’t work out what interests so many in that simple fact?